A special shout out to the many volunteers of the San Francisco Quilters Guild for their hard work and for making last weekend’s show such a success. Two of my quilts received ribbons! And American Patriot: Words Matter won an Honorable Mention in the Piecing/Traditional category. 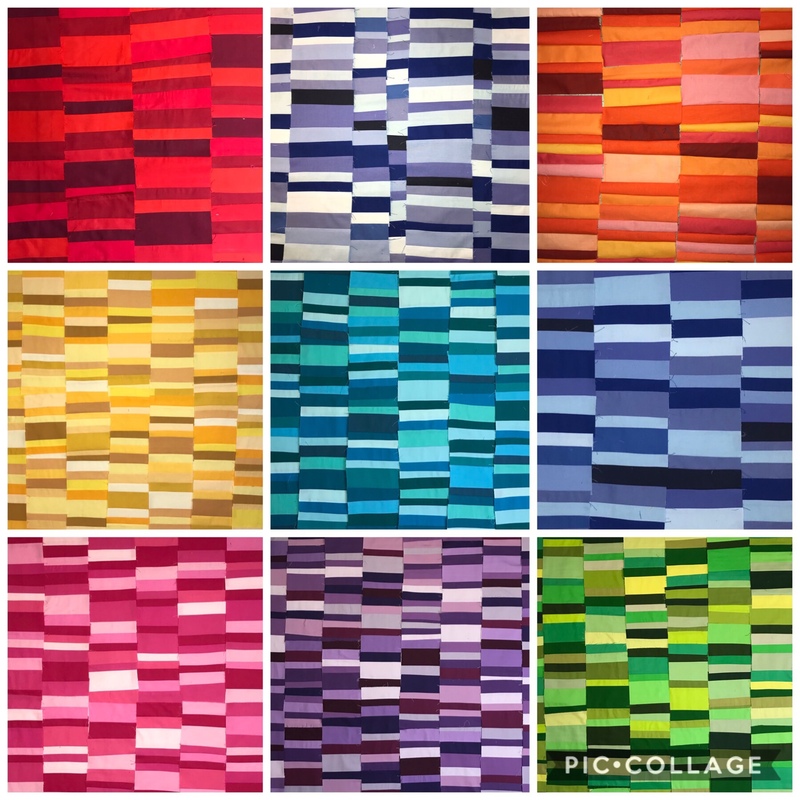 San Francisco Quilt Guild Show! 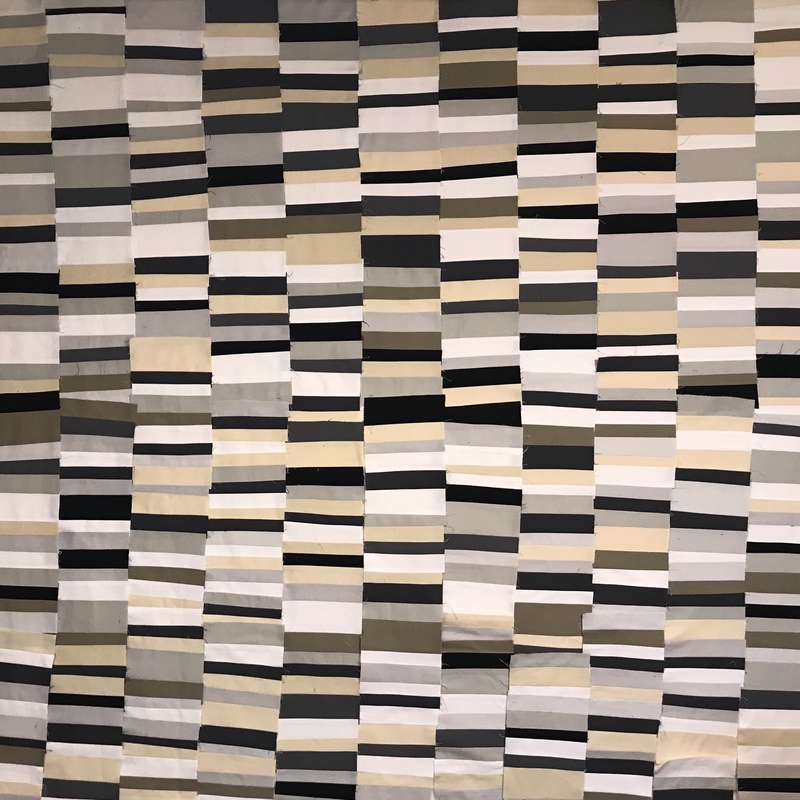 The SFQG’s 18th biennial show presents more than 300 quilts made by members along with work by featured artists Sujata Shah and the guild’s own Jeanie Low. Special exhibits showcase the Dorcas Quilters on their 80th anniversary, the Millefiore mini group, wearables, and antique and vintage sewing machines plus sewing memorabilia. With more than two dozen vendors, quilt appraisals, an activity corner with crafts for all ages, a market stocked with handmade items, and more, QUILT 2019 is a not-to-be-missed event. Friday March 22, 10 a.m.–6 p.m.
Saturday March 23, 10 a.m.–5 p.m.
Japan Center, Main Garage, 1610 Geary Blvd. Fee. I am having so much fun making these blocks from a collection of “my precious” silk – Some which I’ve held onto since almost forever. Over 30 years ago I bought several yards of teal silk while in Thailand on a round-the-world ticket following my time in Peace Corps Kenya. I always thought I’d make it into something to wear. The yellow, red and orange silk were recently gifted from a Bee Modern SF buddy – a neighbor clearing out his mom’s house had yards and yards of silk to give away and it was shared with our group. And the pink was just given to me in a large box of fabric from a friend this fall. I’d bought a few fat quarters over the years waiting for inspiration. Well I FOUND IT and have had so much fun creating these blocks! I have about five more to make to finish what will be a wall hanging to go over our fireplace (28”x28”). I have created a new tutorial “how to” on a fast and easy process to crank out these bar blocks. Check it out here. Made it into QuiltCon 2019! I’m excited that my “Shirt Off His Back” Quilt was accepted into the Modern Quilt Guild’s “QuiltCon 2019” show in Nashville,TN. It’s the first time an entry of mine has made it into QuiltCon (1 out of 10 quilts I’ve submitted to this show over the past 3 years.) I don’t think I’ll be able to swing attending in February, but am grateful to have finally made it in. If at first you don’t succeed…and all that. Keeping to my resolution in 2018 to sew with what I have, recycle where possible, finish WIPs or planned projects – but not to buy new fabric! – I’ve been plowing through my Kona Cotton stash and making these color bar blocks. “Making things to make things” as I told my husband. I’m not sure what I’ll do next but it’s a fun mindless task to create these – and I’ve used up a lot of my stash. Next up I’ll make a set of neutrals (whites, grey, beige and black) before I start creating something (probably many things) from all these strips.